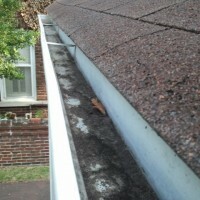 A Plus Gutter Cleaning is a locally owned company with over 20 years of gutter experience. Our company is based on the principles of hard work, honesty, and integrity. We believe that to be successful you must put customers first, and in the end everything will work out. Simply put, we are here for you. We pride ourselves on our service, and commitment to putting you and your needs first. We welcome everyone to give us a call to see why we are the best in western NY. We are listed on www.ANGIESLIST.com as a contractor of choice by homeowners just like you. We have an A rating on Angieslist.com, an A+ rating at the Better Business Bureau, multiple positive reviews on google, and the only positively rated gutter cleaning company from Rochester on KUDZU.COM Angieslist.com is a site that businesses cannot pay to be on, and the only way you get positive reviews is from members who pay to find quality contractors. Please feel free to check us out and see why we are the #1 gutter cleaning company in western NY. We work for some of the biggest property management companies in Rochester. We also are the preferred gutter cleaning company of 6 different homeowners associations. We do everything from upper gutter's only to complete apartment complexes. We service just about every residential and commercial property that has gutter's on it. Now there are a few that we cannot do because of heights and other things that we cannot get around but for the most part we can do pretty much any gutter cleaning.